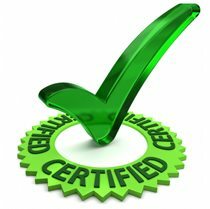 We have created this blog post because we wanted a place where customers could look at all of our mattress manufacturers certifications. We feel very confident about our mattress manufacturers not only because we have been working with them for a long time, but also because they provide us information about their raw materials, where they come from, and their certifications. We appreciate this kind of transparency, and hope that this information also helps increase our customer’s confidence to match our level of confidence in these fantastic organic mattress manufacturers.